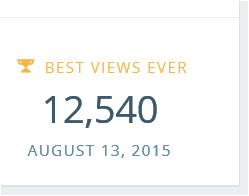 Thank you to everyone who supports the site, keep putting out the word. If you have a similar site to this one send us the link and we’ll add it to the side bar. August 13, 2015 in New Zealand. ← Its Official – New Zealand isn’t one of the world’s safest countries, its assault rates put it among the worst. Congrats and a big hat tip to everyone who’s contributed over the years. Basically a summary of info (for those pertinent areas) on the site that could act as the ‘red pill’ for those even contemplating moving to NZ. Great Achievement e2nz. You have saved many lives from ruining, and probably have costed NZers millions of immigrant dollars. It’s interesting that the time E2NZ is most popular … is when the NZ economy is beginning to show exposure to the GFC. To many more years of getting the word out! I do believe a realization of reality is commencing. The closely guarded secret that NZ is not all that it is cracked up to be is being shattered. I believe this reflects the increasing awareness of people immigrating – or leaving – NZ….Congrats!